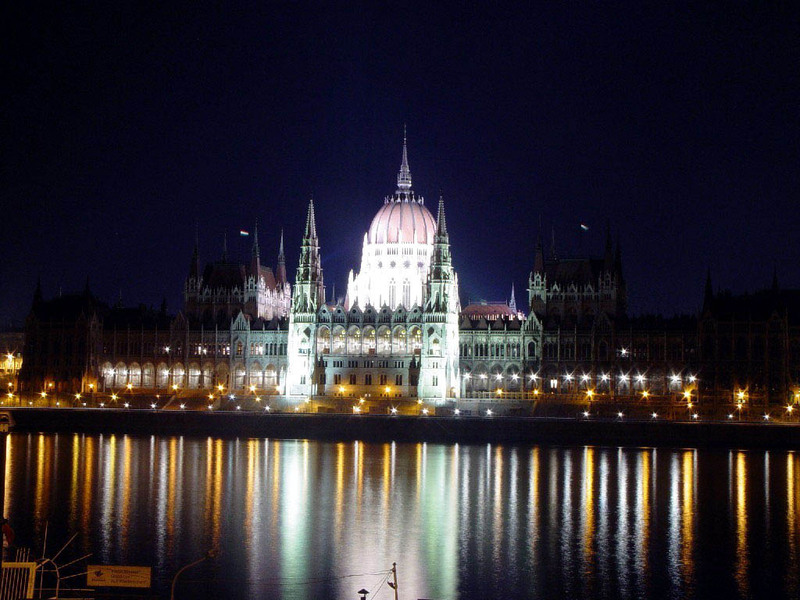 For our 180 budget and economy hotels in Budapest, we show actual room availability. Buda Castle is one of the most striking sights of the city. This is a unique historical monument, which was built in the 15th century. The castle is located on a fortifying hill. There are some other notable buildings on its territory, such as Fishermen's Bastion and Royal Palace. The bastion is a unique architectural complex that consists of beautiful snow-white towers and buildings made in the Romanesque style. A statue of St. Stefan is located on its territory. This statue is devoted to the first ruler of the country. In addition to interesting architectural attractions this district is famous for numerous interesting souvenir and handicraft shops. The famous Chain Bridge can be surely called a masterpiece of architecture. The bridge, which was built in 1849, connects two banks of Danube. You will see a subtle pattern on the railing of the bridge. It is also decorated with beautiful statues of lions. The bridge underwent a massive reconstruction in 2003. Once the restoration is complete, the bridge will become pedestrians only. The Parliament building is a prominent architectural monument of the later period. Built in 1902, the building represents a unique combination of neo-Renaissance and Gothic styles. Near the building are installed 90 statues of prominent figures of the country. The interior of the building is also quite interesting - 700 rooms, 29 long staircases and luxurious design of rooms - you will need more than one day in order to inspect this building. Nature lovers should definitely take a walk in Városliget Park. On its territory you will find a zoo, a botanical garden, and Museum of Fine Arts. Lots of interesting monuments can be seen on Heroes' Square, the main decoration of which is the statue of Archangel Gabriel. The square was founded in 1896. Besides the statues of famous Hungarian leaders here is located Museum of Fine Arts, which exhibits a rich collection of paintings belonging to 17 - 19 centuries. Among the religious monuments of the city we should definitely distinguish Matthias Church, which is located next to Buda castle. This church was built in 1247. Every weekend the church becomes the venue of concerts, where guests can enjoy music and make a walk through a beautiful park. If necessary, please contact our experts on budget hotels in Budapest via the telephone number below. Our system provides 180 inexpensive and affordable B&B and hotels in/near Budapest, often with hot deals and last minute offers. Book online your budget hotel room in Budapest, Hungary - no prepayment, low prices and high discounts!